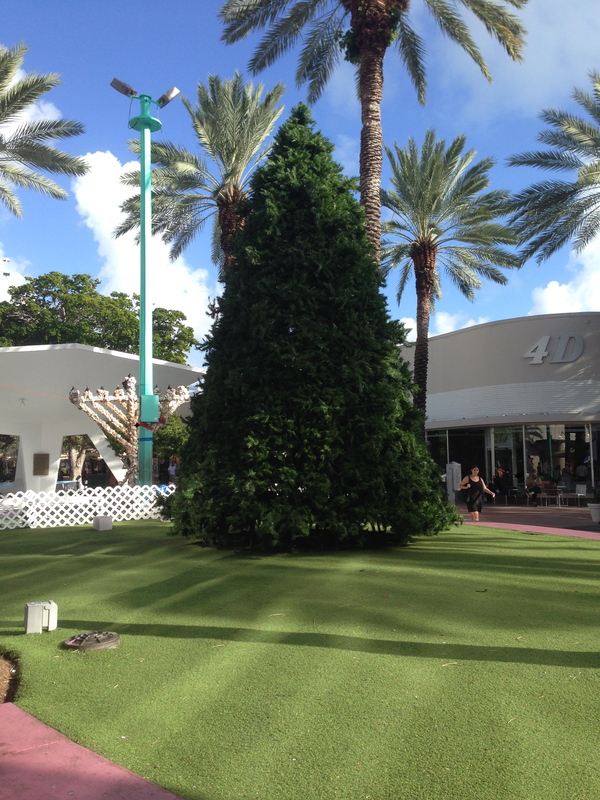 Happy to be in Miami in December! 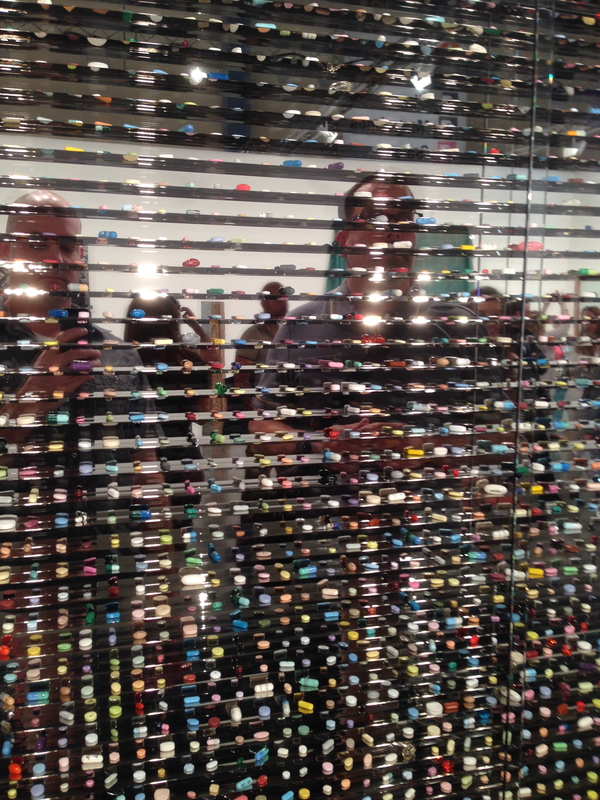 Last week I was able to go to Miami for the annual spectacle that is Art Basel, in addition to the other concurrent art fairs that consume the city. Since I was driving, my first stop was Savannah, Georgia where I picked up my spiritual advisor and one-time law partner, Brotha O. To get to Savannah, I had to brave the legendary Atlanta traffic and head on down through Macon and points east. Atlanta was busy, but I must have gotten lucky because the traffic was merely annoying, not rage inducing. In contrast, Southeast Georgia was, um…sparse…to put it bluntly. Between Macon and Savannah, there wasn’t much to see except for pine trees and the occasional town, unless you count the unusually large Bass Pro Shop(s) building that I passed. Seriously, it was like a mile long. But the drive was pleasant enough with a good audio book. Savannah itself, was an interesting town, I had never stopped there so it was nice to get a feel for the place. It was a funny mix of old southern charm and huge industrial sprawl. I really wasn’t expecting the industry (refineries, paper mills, etc.) part of the town, I had in my mind a much sleepier southern hamlet. I spent two days wandering the city and meeting up with some old friends that happened to live in town, Matt, whom I haven’t seen in 15 years, and Mrs. Becklesworth. It was great to see those guys again. I was able to tour the art museum at a local art school and see other sights about town. The night life was festive and I enjoyed the bartenders asking if I wanted my drink ‘to go’ or not. In all, it was a nice detour through the deep south and even the cockroaches palmetto bugs seemed to enjoy the festive atmosphere. A large, but friendly bug had come to greet us at our table in one of the local establishments, so we neatly trapped it under a pint glass in case the waitron wanted to take care of it. She declined to express much interest and left it to entertain our table, bless her heart…as they say. Savannah was cloudy and cool as we left on our drive to Miami, but as my guide predicted the day before, the minute we hit the Florida line, the weather cleared and became comfortably warm. Apparently, he has experience with this phenomenon from transporting his boys to soccer games in nearby Jacksonville, so I figured he knew what he was talking about. So, sunny Florida it is, and off we went in his 2005 Pontiac Emasculator with a fully stocked cooler and a fresh 16 oz. bottle of Tums. Once in Miami, it was all sunshine and good times. We were staying on the mainland, but there was still plenty to do within reach of just a few minutes driving. 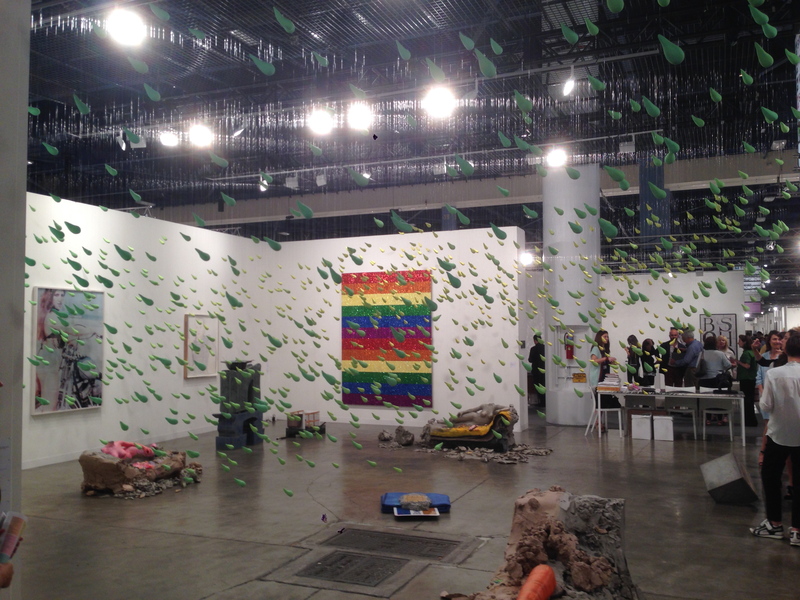 Our first full day in the city, we decided to tackle Art Basel at the convention center. After a short drive to the island and a pleasant search for parking (shout out to gps traffic monitoring software!) we hit the spectacle full-on. Naturally, the first thing you notice is that the place is enormous, but once you get over that it is easy to settle in to a rhythm to look at all the art. Since neither Brotha’ O. nor myself had any pressing agenda for the day, we decided on a grid pattern to maximize our art fair capacity. We banged it out in just under 5 hours, which is scooting through the madness pretty fast. Normally, I can’t stand 5 hours of anything (no, not even golf) so I think we put in our yeoman service, for sure. What makes Art Basel a spectacle is not the artwork at the fair, but the people that come to see the people seeing the artwork. I think. It doesn’t appear to have much to do with new experience or cutting edge type art, in any case. The major galleries that I saw (and there were nearly 300 major galleries on hand) were selling chestnuts and new standards. It reminded me of the top half of FM radio, where songs that sold well 40 years ago are still doing the work, while stations sprinkle in a few hits from 5 years ago to make it all seem fresh and exciting. It makes me really wonder why the collectors are so attracted to the atmosphere of so little personal attention and mass commodity. Convenience? Ego? Deals? One collector I know talked about how it was akin to ‘shopping’, as in the ‘I have money to spend, and let’s see what we can go find to buy’, kind of shopping. He also talked about continuing education for the collector, not necessarily what is new in the art world itself, but what is new in the gallery inventory from known artists. It does makes sense on all these levels why a collector would be attracted to the event. As an academic, it makes much less sense, but it is no less valuable. A trend that interests me about the fairs are the preponderance of galleries that show the same artists. Last year, it was Wesselmann everywhere, this year it was oversized candy and/or doughnut wall sculptures. 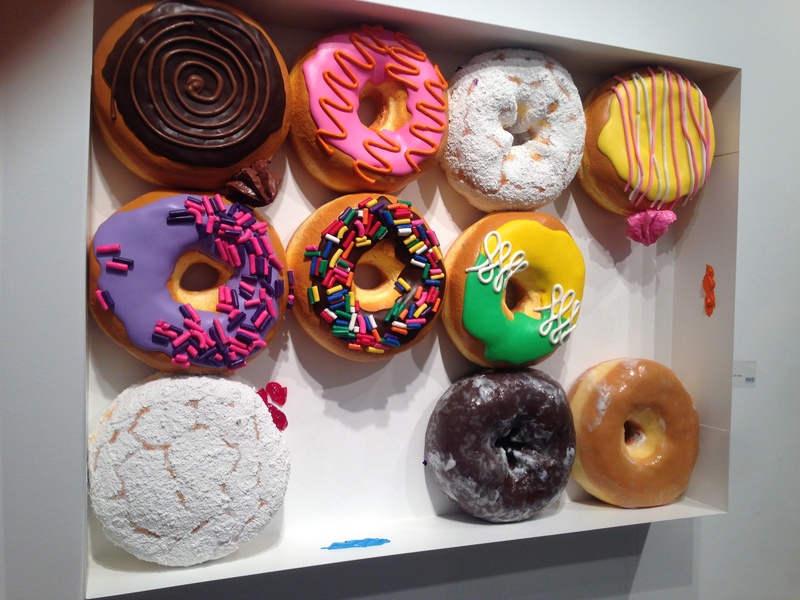 mmmmmmmmm…doughnuts. I kept seeing these around, they seemed to be a hit. 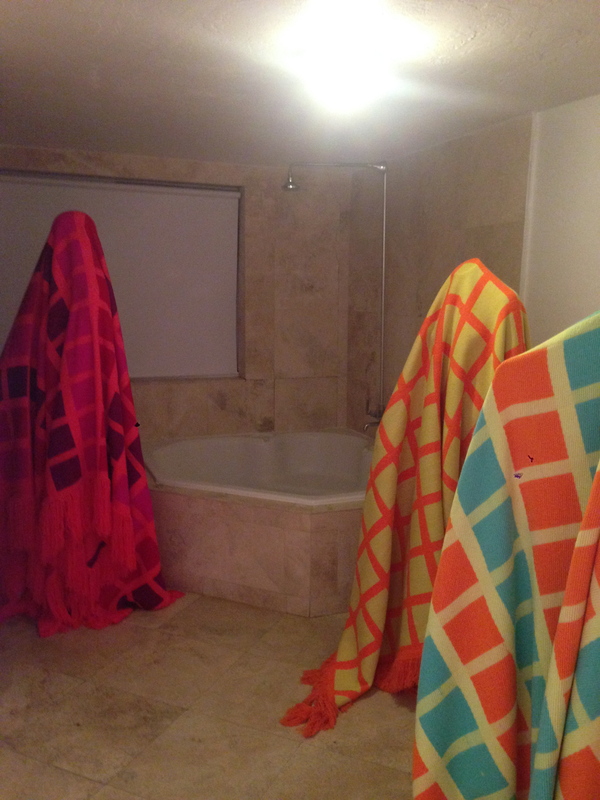 It’s odd that even an image of the delectable devils can be so popular….in fairness, they were 2x life size though. Obviously, galleries from all over the world are not going to call each other and work out who to bring in advance, but it just seems so odd that they double up so much on the same few artists. I wonder how they feel about it–if they are happy that the artists they are carrying are ‘hot’, or is it like showing up to a party with the same outfit on? (not a worry for me very often because every guy my age seems to show up wearing the same outfit anyway) I noticed quite a few Mel Ramos’ at both Art Basel and Art Miami this year, as well. There were other examples, but none seem come to forefront of my flu-addled brain at this time. Are the galleries that sell the big ticket items expecting a sale, or just hoping? Surely, a gallery must know a certain collector is willing to purchase before they load their Brancusi up in the mini-van and head on down. I’ll just throw this in the ol’ duffle bag and head on down to Miami…. In any case, it was a record year for sales with many galleries selling well at all price levels. I read somewhere that there is a 100 percent re-application rate for galleries to come back next year. If true, that would suggest that it is a very lucrative venture for all parties involved. 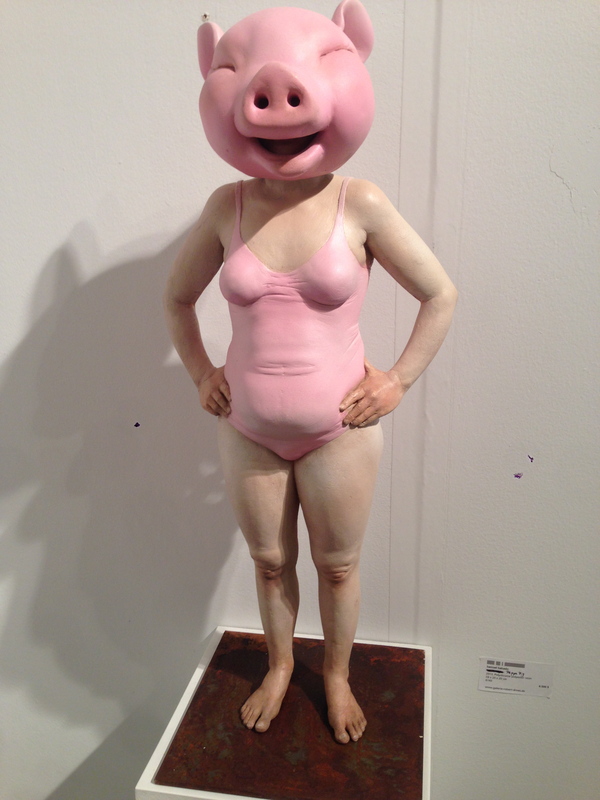 Art Miami was kind of the same, but also kind of different. It was the same in the spectacle and rodeo roundup type of atmosphere, but it seemed to have a more chill attitude. Perhaps a bit more personality. It certainly is more informal in look and feel. 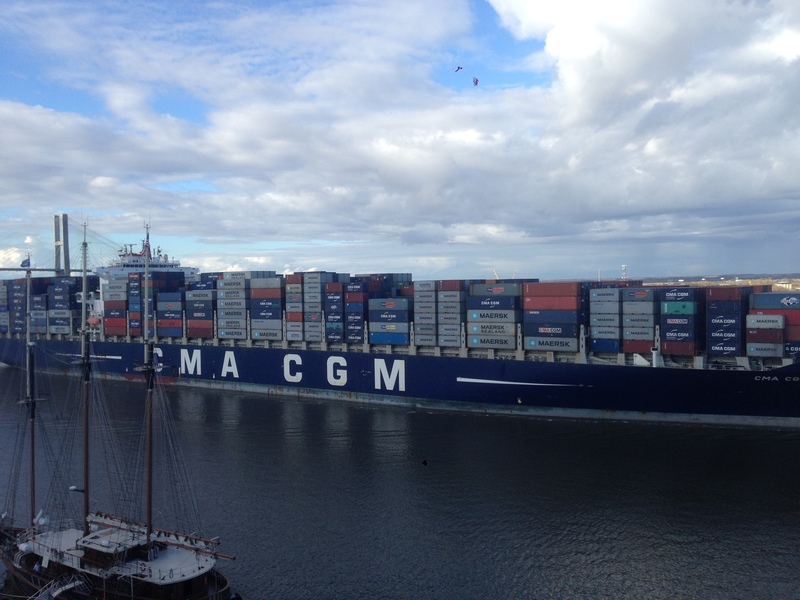 It was also more crowded–smaller spaces, tighter turns, etc. This gives it a much more bazaar type feel than at the convention center. 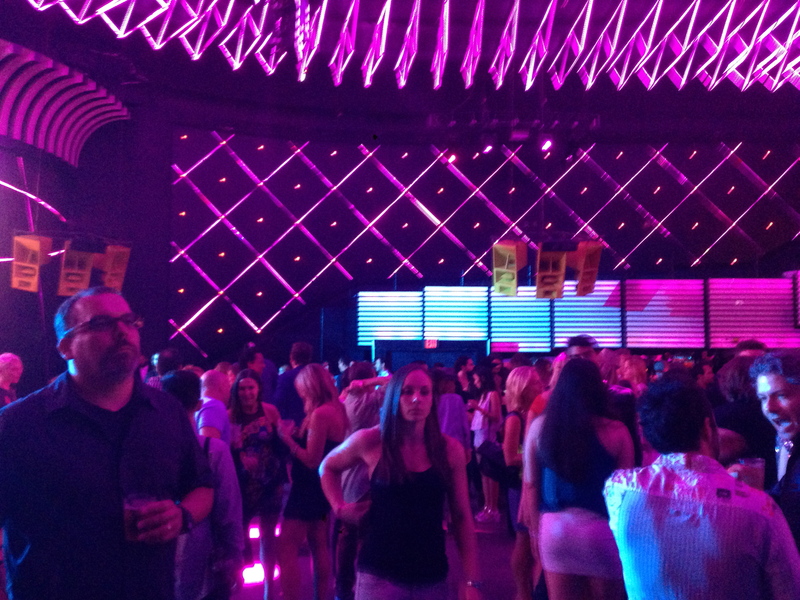 It was on the mainland near the Wynwood Arts District in a series of large air-conditioned tents. Inside, I saw some of the same works, but overall it has a much more contemporary feel. 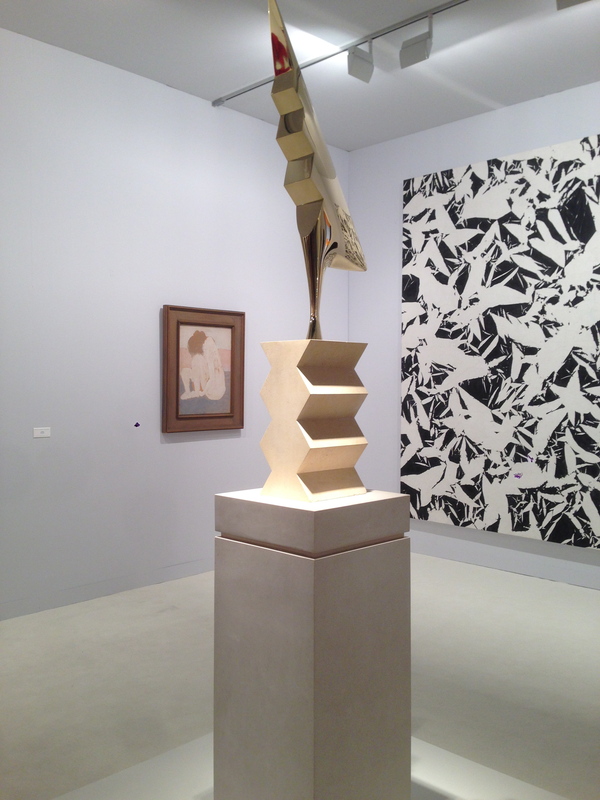 As one might expect, the fairs that we saw were quite painting/2D heavy in comparison with sculpture. Much of the sculpture that I saw was somewhat installation-y, with relatively few pieces dedicated to craft and form. 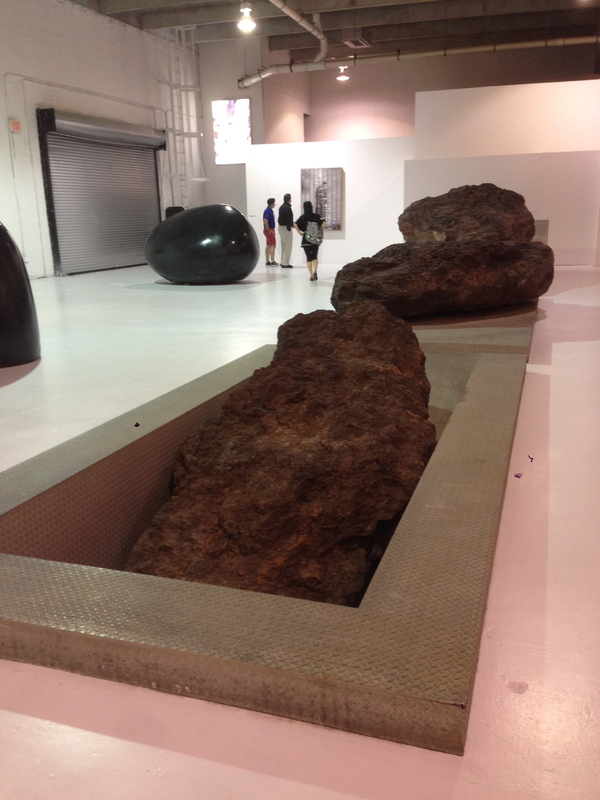 Big names were represented: Kapoor, Plensa, Turrell, Weiwei, but they were not very plentiful. They were attention grabbers in my case though, because many of the sculptures I saw were very loose in craft and materials. Clearly, I’m no Stuckist, but years of teaching Beginning Sculpture has me jaded, so when I see poorly constructed ready-mades or glue-a-thousand-of-these-together type sculptures in a professional setting, I tend to walk at a brisker pace. In the same manner, there were very few contemporary drawings on hand. I see drawings at gallery openings and at university shows, so I know people are still making them, but I was surprised to see how little there were represented at the big fairs. Technology seemed to have a hot hand still, though last year I saw many more moving image paintings (the Harry Potter type of thing). This year it seemed to be represented by 3-D printed forms and cnc carving type pieces. 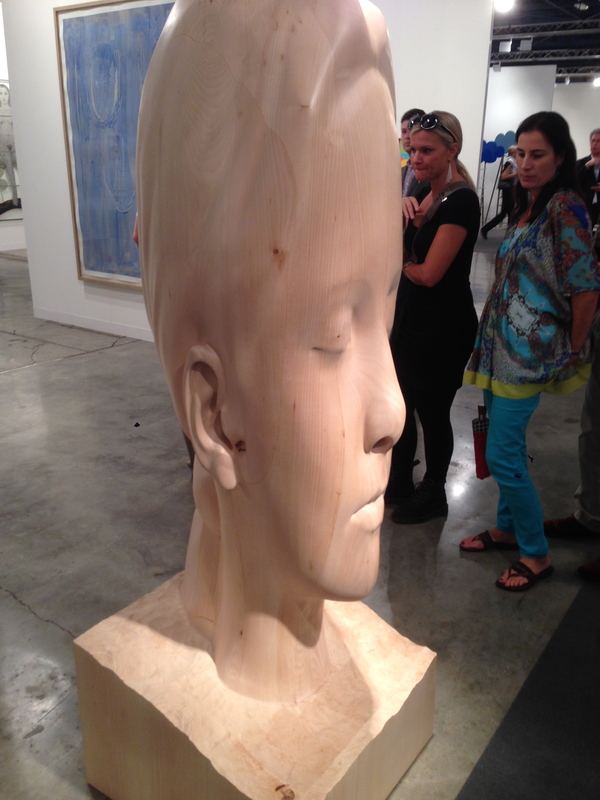 This sculpture was a forced perspective wood carving installation. The largest figure in front was life size. It was totally badical, but it was hard to view without some disorientation and discomfort. 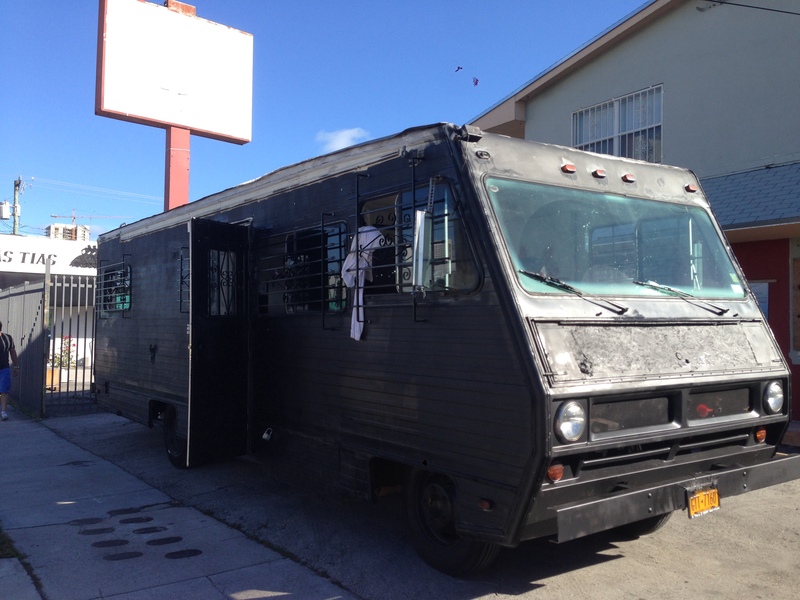 We were able to hit a couple collections while we were in the Wynwood District. Our first stop was The Margulies Collection at the Warehouse which has an outstanding group of sculptures that rivals many museum collections in scale. There, we met up with our old compatriot Pax who happens to live in mid-south Florida. It was great to see our old friend after at least 10 years. He told us some great stories like the time when his dad got a letter from Michael Heiser requesting some land to ‘dig a hole into’ (while we were coincidentally looking at a Michael Heiser sculpture). We had a great time knocking around the museum catching up and seeing some great pieces. 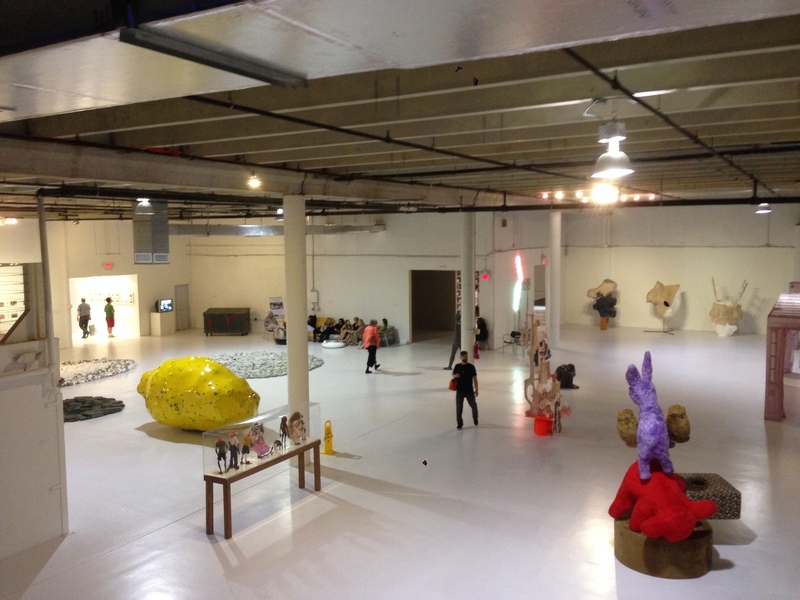 Another great collection that we were able to visit was the Rubell Family Collection, which was housed in a repurposed DEA warehouse, also in Wynwood. The collection we saw was heavy on painting, but of these, there were some really cool examples. Apparently, the whole family is very involved with the collection–when we walked in there were three pre-teens manning the entry counter and thanking patrons for coming to their collection. One girl was handing out brochures and yelling ‘you deserve to have free stuff!’ at everyone. While there, I saw Bomani Jones, the only celebrity sighting of the week (we missed the Drake/Diddy fight somehow) though Brotha O. says he isn’t a celebrity. 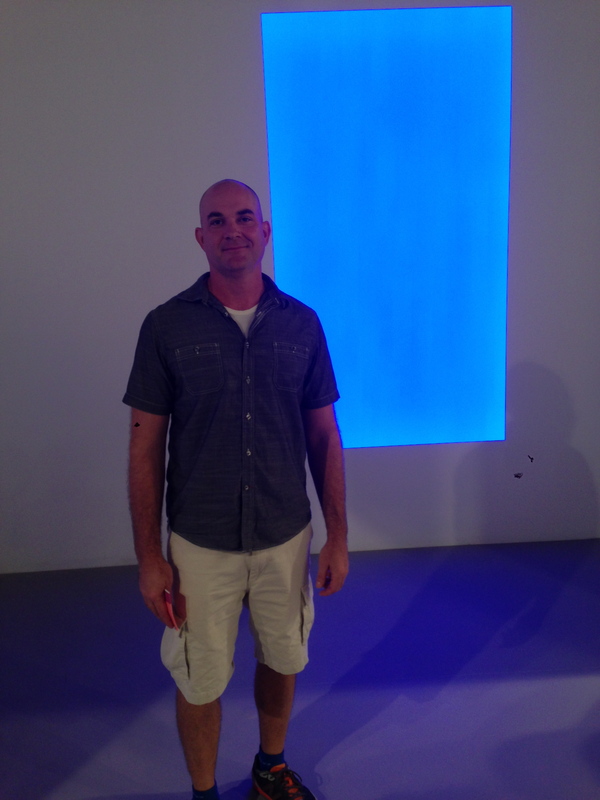 It was cool to see a sports guy at a museum (and not an easy one for the non-art indoctrinated, either). 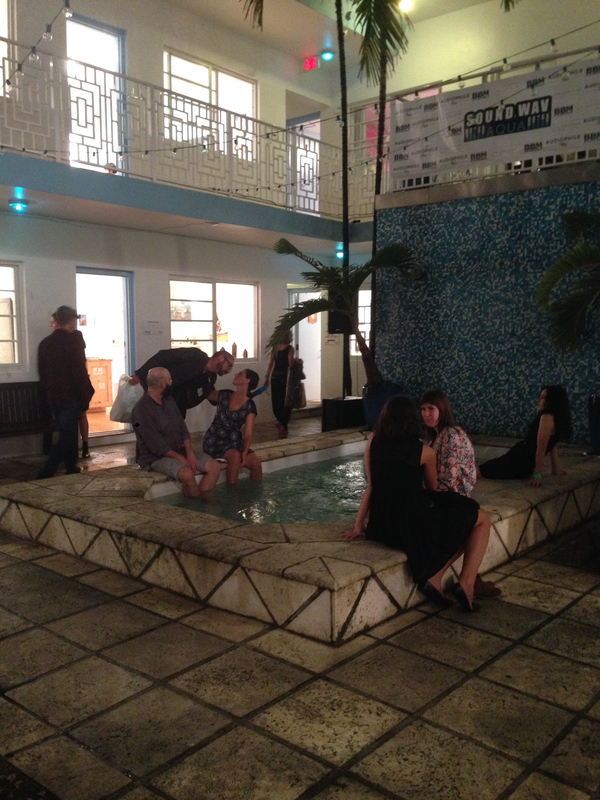 Another mini art fair that we saw was at the Aqua, an art deco hotel on Miami Beach. Some of the hotels in the area rent out rooms to galleries to display their work. It is much cooler than you would think because they take out all the furniture and only have open wall space in each room. 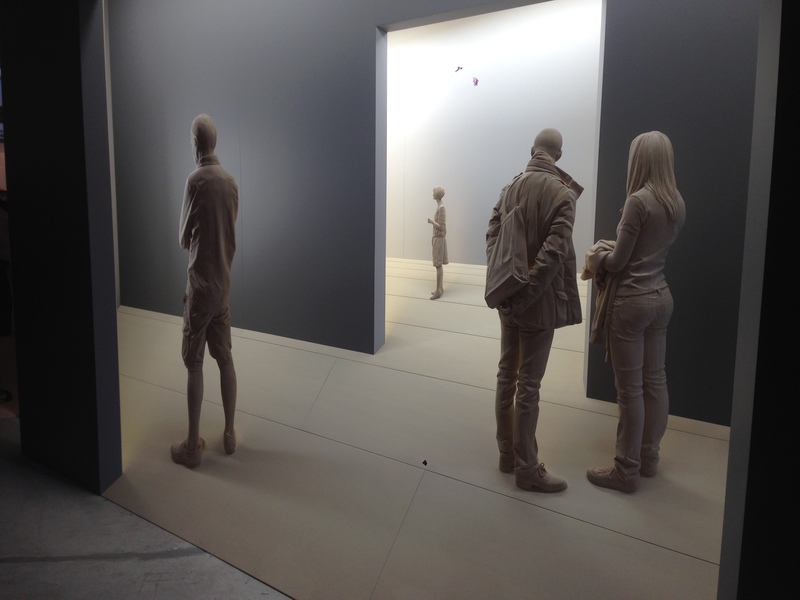 It is very similar to walking through the other art fairs except that it is more intimate and somehow more friendly. The dealers looked exhausted but seemed to be happy in general. One artist I particularly liked at Aqua was Im Jibin (http://www.shineartists.com/artists/imjibin) who had some fun plastic eyeless figures and sculptural arrangements. He was on hand to talk with, so that was even cooler. 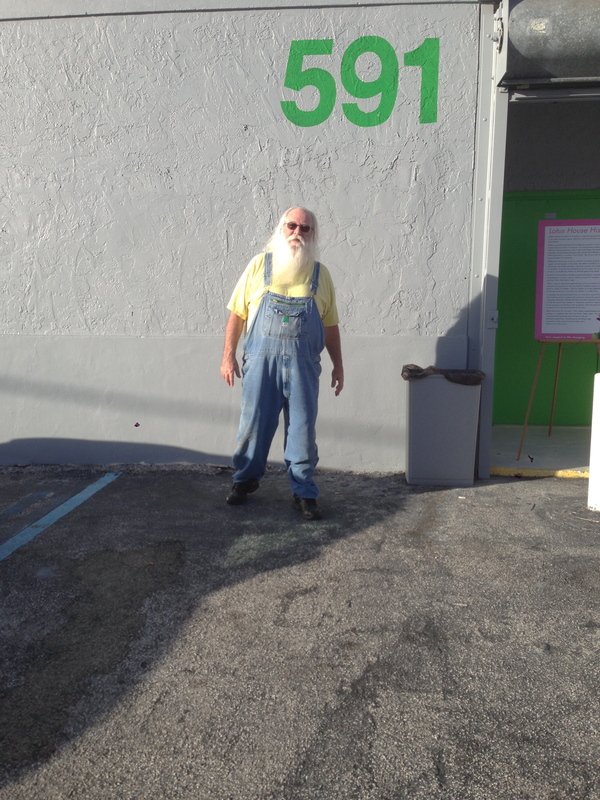 I suspect very few artists actually come to Miami for the fairs, especially not ones from as far away as Korea. Miami was great for just walking around. We were able so see so many cool and funny things just by happenstance. Graffiti seems to be state sanctioned, so there is a lot of it, and some of it is even good. We met my cousin for lunch one afternoon, and at the next table over, 5 or 6 college age types were tripping their faces off. By the time we left, they were out in the street rolling around and carrying on (don’t worry, the traffic was so bad in Wynwood that they had virtually no shot at getting hurt). We also made it to the beach to check out that whole scene, but just as we got there, it started pouring rain, so we headed for the shelter of a bar and some cold frosty refreshments. Other sights and sounds around the city were cool. Christmas decorations were in full swing (which is always sort of strange in a tropical climate) and we saw people dressed up in strange artistic ways (a guy in a lobster suit of some kind was the most adventurous). One of my favorite things that I saw was not necessarily art, but I read it that way. 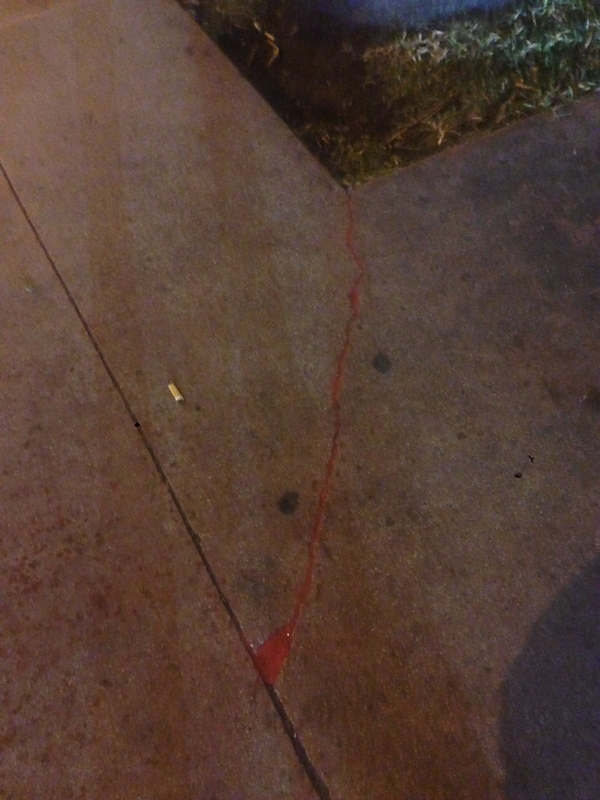 It was a crack in the ground that had been painted red. Very simple and gimmicky, really, but in a town full of glitzy galleries and commodity, it seemed very appropriate and thoughtful. 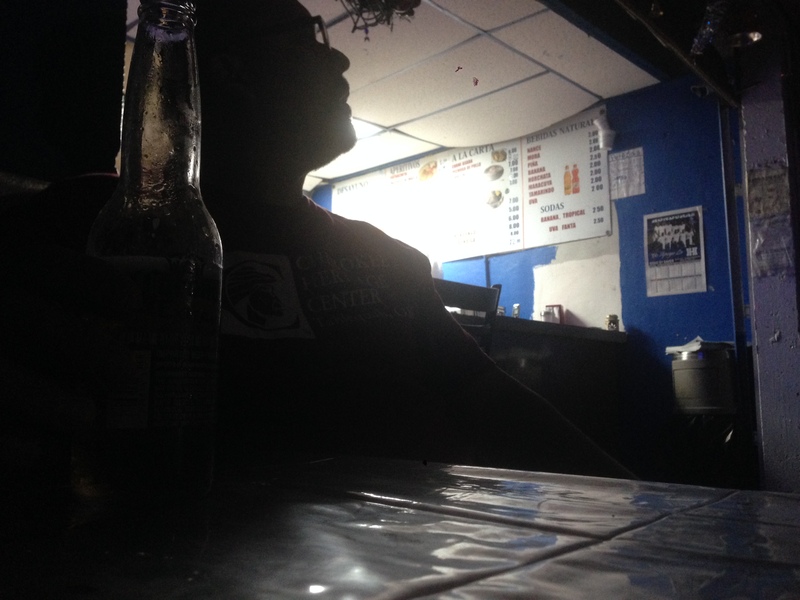 My favorite meal (in a town full of great food) was a hole in the wall Honduran restaurant. They had the coldest beer I’ve ever had and some great food. It was a bit like one of those movie situations where when you walk in, the juke box skips and everybody turns and stares at you for a second. After we stood around for long enough and we weren’t obviously going away, they took our order and cooked some great food. I felt like we passed some cool test and were ‘in’. Or, they were just busy and took awhile to get our order, one or the other… For tortillas, the cook had a basketball sized wad of dough that she would pinch off parts of and flatten for eventual frying. I’d never seen this method in person, so that was pretty darn cool. Sanitary? Hard to say. Delicious? Most certainly. not my jam. at all. In all, it was an exhausting, but hilarious trip. 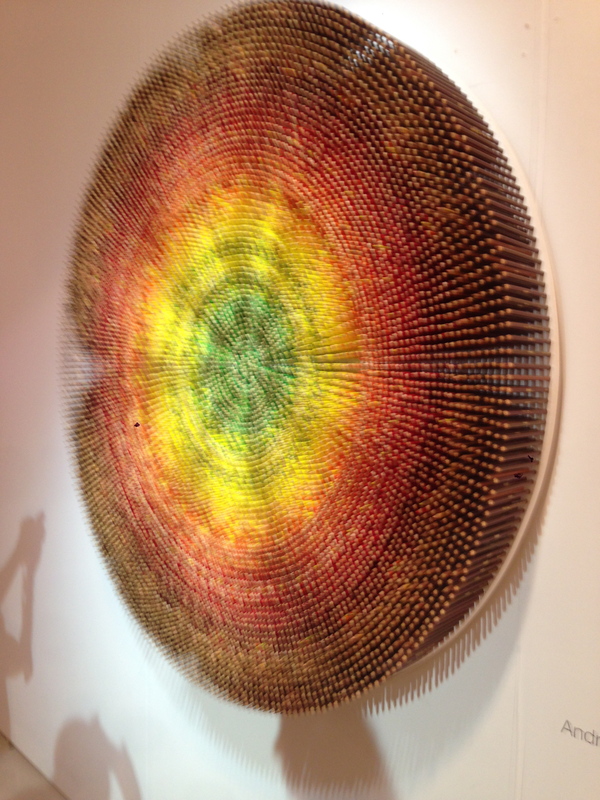 We saw some fantastic art and had a great time soaking up some of the fantastic art scene. I would definitely recommend that anyone interested in art check out the scene down in Miami at least once, you won’t be disappointed. 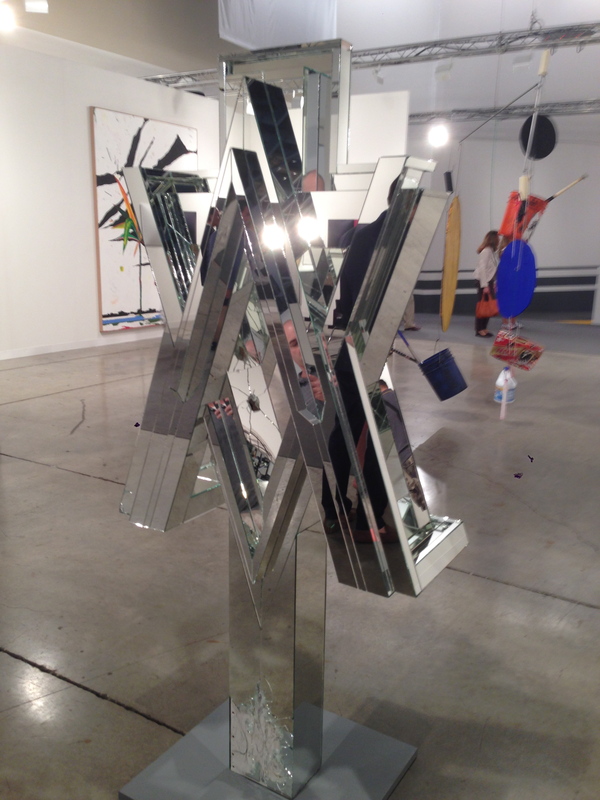 This entry was posted in Uncategorized and tagged art basel, art miami, Margulies warehouse, Miami Beach, Rubell Family Collection, sculpture, Wynwood by Doug. Bookmark the permalink.